Why Would A Car Key Not Turn? It can be frustrating when you insert your key into your car’s ignition and it refuses to turn. Your mind races with all the possibilities of what could be going wrong. But luckily, most ignition key issues are not only common, but also quick to fix. There are three main factors to remember when looking over. Why your key will not turn, and with some troubleshooting. These tips could help you start and drive off safely in just a few short steps. 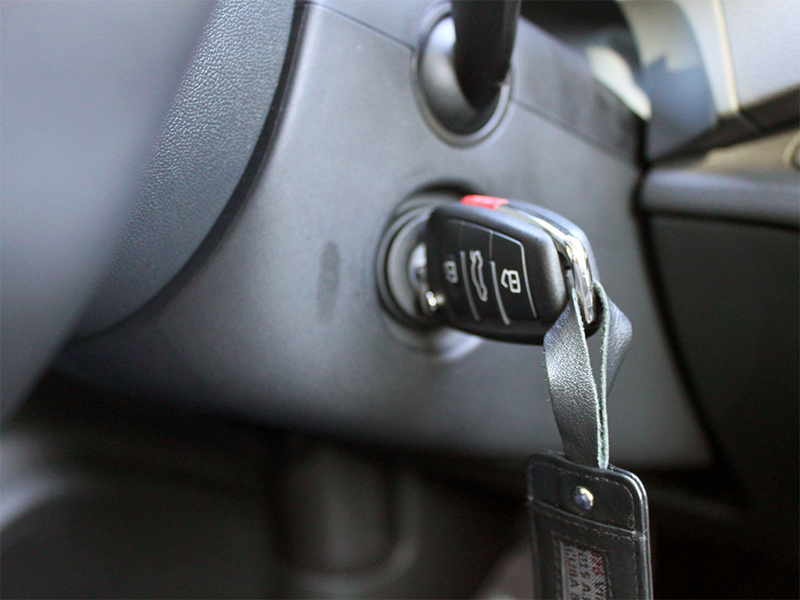 The three main reasons why an ignition key will not turn include. Problems with related components, issues with the key itself. And ignition lock cylinder problems. Tip: Always make sure your parking brake is on to keep the vehicle secure when following these steps. Component 1: Steering wheel. In many vehicles, removing the key locks the steering wheel from turning. Occasionally, because of this lock, the steering wheel can get stuck. Which in turn means the vehicle key also becomes stuck and cannot move to release it. “Jiggling” the steering wheel side to side. While also attempting the turn the key can relieve this lock pressure and allow the key to turn. Some vehicles do not allow the key to turn unless the vehicle is in either park or neutral. If the vehicle is in park, shake the shifter slightly to ensure it is in the right position and try again to turn the key. This only applies to cars with an automatic transmission. If the car’s battery is dead, you will often notice that the key won’t turn. This isn’t unusual in higher end vehicles. Which frequently use more complex electronic ignition systems. Check the life of your battery to verify this. Bent keys can sometimes enter the ignition cylinder, but once inside will not line up correctly to allow the car to start. If your key looks visually bent, you can use a non-metal hammer to carefully flatten the key down. Your goal is to use something that will not damage the key, so ideally this would make of rubber or wood. You can also place the key on a piece of wood to cushion the blow. Then, very carefully, tap the key until it is straight and attempt to start the car again. Factor 2: Worn out key. Keys that are worn out are actually very common, particularly on older vehicles. Your vehicle key is worn out, this will not allow the pins inside of the cylinder to drop correctly and start the car. If you have a spare key, try to use that first. If you do not, you can obtain a spare key by writing down your car’s Vehicle Identification Number (VIN). Which find on the driver’s side windshield or inside the door jamb. You will then want to contact your dealership to get a new key made. Some newer cars have key codes attached to a set of keys. If your key is worn out and you need a new one, you can give this code to your dealership instead of the VIN. Sometimes it’s a simple mistake, and the wrong key is insert into the cylinder. This happens most often when someone has more than one car key on their key ring. Many keys look similar, especially if they are from the same make. So double check the correct key is being used to try to start the vehicle. If you see that your key is dirty, cleaning it can also help. Cleaning the key itself is also very easy. Use a cotton swab and rubbing alcohol to remove any foreign material that may be stuck to the key. You can then attempt to start the car again. Some resources recommend tapping the key with a hammer, or other object, while it is in the ignition. But it is not recommended due to the high risk of not only breaking the cylinder but also breaking the key. This can trap a piece of the key inside the cylinder, causing more damage. Also known as a key cylinder, the ignition lock cylinder is another area. That could be causing issues with a key turning over. Below are the two most common problems. Associated with the ignition lock cylinder and the key not turning. An obstruction inside the key cylinder will not allow the key to turn the ignition properly. Look inside at the key cylinder with flashlight. You will want to look for any obvious obstruction. Occasionally when a key cylinder has completely failed you will see metal debris inside. If attempting to clean the ignition lock cylinder. Always begin with safety glasses to protect your eyes from any flying debris. To clean, use electrical cleaner or compressed air. And follow the precautions and instructions on the can. Make sure your work area is well ventilated. You can try to re-spray if necessary. If any debris was successfully removed, the key should slide in more easily. The pins and springs inside the key cylinder conform to the unique shape of your key. So that only your key will work to turn on your car. There can be problems turning the key due to issues with the pins or springs. When this happens, use a small tack hammer to gently tap the key ignition. This can help loosen any stuck pins or springs. You do not want to hit hard – the aim is to use the vibration of the tap, not the force, to help loosen any jammed pins or springs. Once they are free, you can attempt to insert the key and turn it. The methods listed above are great ways to get your key turning if it refuses to budge. However, if you are still struggling with key turning issues after you try all these tips. You should contact a Locksmith for further diagnosis. Auto Locksmith Philadelphia provides certified mobile locksmiths. Who come to your home or office and can easily diagnose. Why your key isn’t turning and make the necessary repairs. What To Do When Car Keys Are Stolen?